U.S. News and World Report on Tuesday ranked the University of Texas MD Anderson Cancer Center, which has earned acclaim for its work with mesothelioma, as the top cancer care hospital in the nation. The Houston hospital scored high marks in the areas of reputation with specialists, patient survival rates, patient volume, nursing intensity, advance technologies and patient services, according to the publication’s 2015-16 cancer center rankings. These rankings are designed to help patients and families identify facilities that excel in treating rare diseases and difficult cases. Several of the high-ranking hospitals in the report are mesothelioma specialty centers, which are critical to getting the best possible care for the complicated disease. Mesothelioma is a rare and aggressive cancer caused almost exclusively by exposure to asbestos. It is diagnosed in an estimated 3,000 people annually in the U.S. The rarity of the disease and medical advances just now coming to fruition make it imperative for a patient to find a leading cancer center. MD Anderson is no stranger to these rankings. It held the top spot in the 2012-13 and 2013-14 reports, but Memorial Sloan Kettering Cancer Center (MSKCC) in New York pushed it down a notch last year. MSKCC is No. 2 in this year’s rankings. U.S. News & World Report analyzed cancer care at more than 900 U.S. hospitals and ranked the top 50. 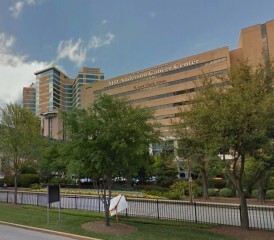 Each cancer center garnered an overall score of 0 to 100 based on four categories: Reputation, patient survival, patient safety and care-related factors such as the amount of nurse staffing and the types of patient services. *Tied because both received the same overall scores. Only 137 of the estimated 5,000 hospitals across the U.S. were ranked in the top 50 in one of the specialties. And only 15 of the 137 qualified for the prestigious Honor Roll, which required a ranking in at least six specialties. Neither MD Anderson nor MSKCC achieved an Honor Roll mention. Massachusetts General Hospital placed at the top of the Honor Roll of best hospitals. Other centers listed in the Honor Roll included: Mayo Clinic, Johns Hopkins Hospital, UCLA Medical Center, Brigham and Women’s Hospital and UCSF Medical Center. This was the 10th time since 2000 that MD Anderson was the top ranked center. Oncologist Anne Tsao is the director of the mesothelioma program and currently conducting a clinical trial involving a promising immunotherapy vaccine for the disease. Thoracic surgeon Dr. David Rice also is known for his innovative research and technique. became the chief of thoracic surgery a year ago, building on the work of thoracic surgeon Dr. David Sugarbaker, who created the most prestigious mesothelioma program in the U.S. Patients often come from across the country to be part of the program that includes thoracic surgeon Dr. Abraham Lebenthal, who also has been lauded for his work with veterans at the nearby VA Boston Healthcare System. Within this facility is the equally renowned Pacific Meso Center. Dr. Robert Cameron, who pioneered much of the surgical treatment used for mesothelioma today, is the center’s medical adviser. Cameron has been a mesothelioma innovator for more than two decades and the driving force behind the push to improve care for veterans at the West Los Angeles VA Medical Center. As the director of the Mesothelioma Research and Treatment Center, thoracic surgeon Dr. Jacques Fontaine has helped Moffitt become the leading mesothelioma facility in the South. Moffitt Cancer Center is the third-largest, free-standing cancer center in the U.S. and continues to grow in prestige. The mesothelioma research team includes Drs. Scott Antonia and Tawee Tanvetyanon. The Cleveland Clinic is known for its extensive research and successful, multidisciplinary approach to the treatment of mesothelioma. Oncologists Drs. James Stevenson and Nathan Pennell, along with surgeon Dr. Sudish Murthy, have played a key role in developing the mesothelioma program at the clinic.